During the recording process of the new album, Ron “Bumblefoot” Thal and his wife, Jennifer (Mrs. Bumblefoot), produced teasers for the album that give valuable insight into the recording process, how much work is involved in what he does, and how things are sometimes done much differently than what you’d expect. It’s an opportunity to grow with an album, watch it develop and get each layer added on. And in Bumblefoot’s case, these teasers (and the finished product – available NOW as of February 24, 2015) show his sheer passion and artistic brilliance in creating something completely unique and impressive… just like he’s done with his other 9 albums. 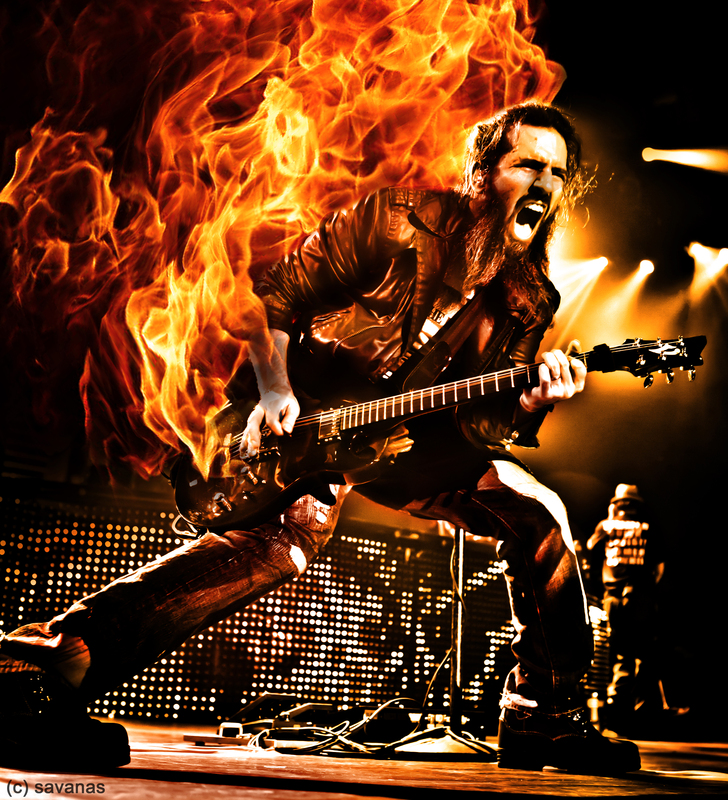 As such an accessible, kind and truly giving musician, Bumblefoot extends and connects himself to his fans in unique ways. He loves getting people involved and will live stream so the fans can watch him tracking. After switching back to English, we discussed his unconventional method of acquiring group vocals and noises. Bumblefoot spoke about his recently held album listening party/crowd recording session which he described as “the icing on the cake” for his recording. Bumblefoot told the crowd funny stories about things and while people were laughing, he took their laughter and put it into one of the album’s songs. He would also show them the parts to sing, and then they all would sing together. He recorded it and went to the studio the next day to take all those parts that everybody sang and synch them into the song. He actually ended up using the contributions of the crowd on over half the album’s songs and the album credits now include Dennis Leeflang on drums and a “Backing Vocals” list of a hundred names. “It comes from the old George Orwell Book 1984 (circa 1949), where in the book, there is a whole concept of government watching everything you do and it says “Big Brother is Watching You.” I thought about how that was what they predicted years ago. But… they didn’t predict that the people will get the technology and the people to do the watching, and that we will be able to watch over the government, watch each other, and will be exposing ourselves… and that makes us “Little Brother”. 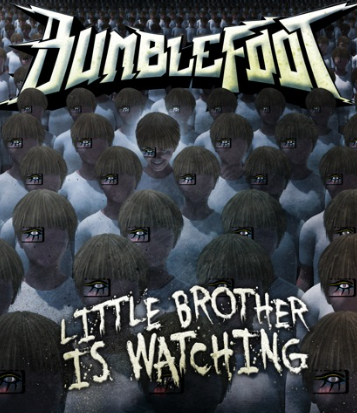 So for me, it’s the next generation, the next revolution of it all – the little brother is watching! And that is what we live now. “A very interesting song… That one I had from a year before – its something I started writing as a collaboration for Guns N’ Roses, but it never happened, so I kept it for myself. We romanticize our pain and justify our rage, we excuse ourselves, we remove ourselves from all the wars we wage. We call it love. “A great example of life on tour – what it’s like, the things you miss, the things you love, and what the whole experiences is like. It tells the story well about it all. It’s not about all the partying and all that stuff. It’s about emotions and sort of living that double life. “I listened to a lot of Iron Maiden on a tour bus while doing a tour with Yngwie Malmsteen called Guitar Gods playing around the world. And that’s when I wrote that one.